The Scottish Highlands are one of the most popular places to visit on any holiday of Scotland. In addition to its romantic castles, whisky distilleries and history, one of the main reasons tourists come here is to enjoy the scenery and wildlife of the north of Scotland. Even if you stay for a week, you will only get a short glimpse of the many things to see and do here - there is something to suit everyone’s interests including museums and gardens. 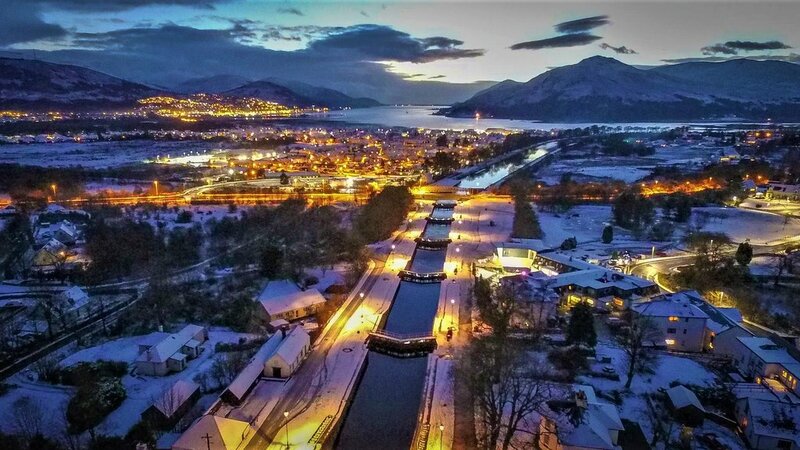 The Caledonian Canal connects the North Sea and the Atlantic Ocean and four fresh-water lochs (Dochfour, Ness, Oich and Lochy) and is the only canal capable of carrying ships of up to 500 tons from one side of the UK to the other. Built between 1803 and 1822 it was planned and supervised by Thomas Telford. You can hire a motor cruiser or a yacht and travel along the 60 miles of the Great Glen which is a 700 million year old geologic fault stretching from Scotland's east to west coasts. Enjoy fantastic scenery, superb fishing, navigate swing bridges and numerous locks culminating at Neptune’s Staircase, a flight of eight locks at Banavie near Fort William. As you arrive at Banavie you will see the majestic Ben Nevis which is Scotland's highest mountain. Look out for Golden Eagles along Laggan Avenue between Loch Oich and Loch Lochy. Shops and good places to eat and drink can be found along the length of the canal all the way from Inverness to Fort William. Loch Ness was formed at the end of the last Great Ice Age and is part of the Great Glen fault which cuts across the country. Here you can hunt for Nessie around the deep waters surrounding Urquhart Castle, or visit the Falls of Foyers on the south side of the Loch. Visitors also explore Cherry Island (an ancient crannog at Fort Augustus), the Nessie centres in Drumnadrochit, the ruins of Invergarry Castle, the Well of the Seven Heads and Telford's picturesque old stone bridge at Invermoriston. At the southern end of Loch Ness, Fort Augustus is a very popular village with its photogenic staircase of canal locks, Caledonian Canal Visitor Centre, tourist shops and places to eat. There are numerous boat trips on Loch Ness including ones which start from Inverness and cruise along the Caledonian Canal. Other boat operators can be found available at Fort Augustus, Drumnadrochit, Dochfour and the Clansman harbour. Explore the history, wildlife and dramatic landscapes of Scotland’s most famous Glen at the National Trust for Scotland’s Visitor Centre. Interactive exhibition, audiovisual presentations, children’s activities, shop and café can all be found in the centre. Enjoy walking or climbing one of the 8 Munros in what is now regarded as one of the best ‘wild’ landscapes in Scotland. See the development of Glencoe over millions of years of geological and geomorphologic processes. Visit the site of the infamous massacre of 1692, feel the drama of its many myths, whilst keeping an eye out for golden eagles, red deer and pine martens. See how The National Trust for Scotland continually works on the habitat, footpath erosion, monitoring of species and maintains this wild landscape for your enjoyment. Open all year. With around 2,000sq.km of rugged coastlines, mountains, beaches and forests the Geopark takes in the Summer Isles in Wester Ross, parts of Caithness and Sutherland including Durness and Cape Wrath on the north coast and follows the Moine Thrust Zone to the east. At around 3 million years old and almost treeless, it contains some of the oldest rocks in Europe and was awarded UNESCO geopark status in 2004. Visit the unique Smoo Cave, a large limestone sea cave near Durness, whose inner chambers were formed by fresh water and its outer chamber by the action of seawater. Remains of Eurasian Lynx, Arctic Fox, Reindeer, Polar and Brown bears, as well as human remains dating back some 4,500 years, have been found at Inchnadamph Bone Caves. The stunning scenery, ancient settlements and lively communities offer a wide variety of choice to suit every taste. Call in to the Rock Stop Café and Exhibition Centre at Unapool providing full details of the Geopark. This Grade III listed building houses an exhibition, interpretive displays and life sized models giving an insight into how the Victorians experienced the Spa treatments provided by the Pump Room in Strathpeffer. From 1870 to 1939, it was one of Europe’s most popular health resorts and the high society of the day flocked to this pretty Highland village to experience all it had to offer. Bring back childhood memories by treating yourself at the Victorian sweet shop to some delicious old fashioned sweeties. Tourist Information point and shops all in a village setting. Free entry. 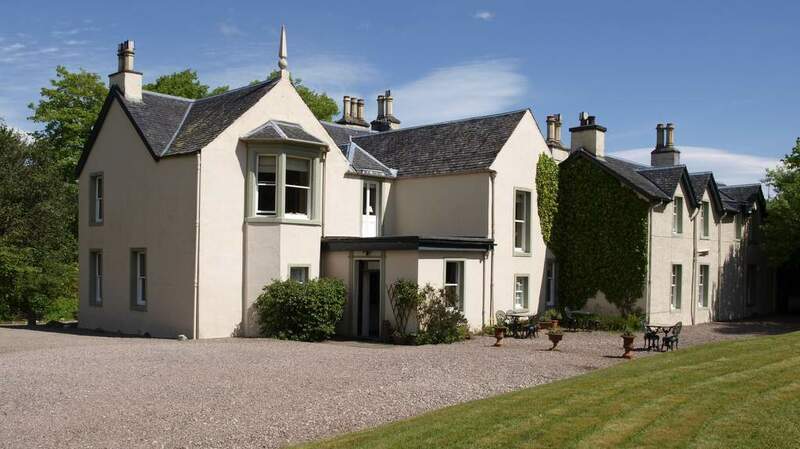 Also worth a visit in the village is the Highland Museum of Childhood, as well as Castle Leod (seat of the Chief of the Clan Mackenzie) which is thought to be the original inspiration behind Diana Gabaldon's Castle Leoch in Outlander.